You can definitely rely on our company if you are interested in a roof repair, roof replacement, or home remodeling in Richardson, Texas. We have been a mainstay in this area since the 1980s, and we have steadily grown our business through our stellar customer satisfaction rate. 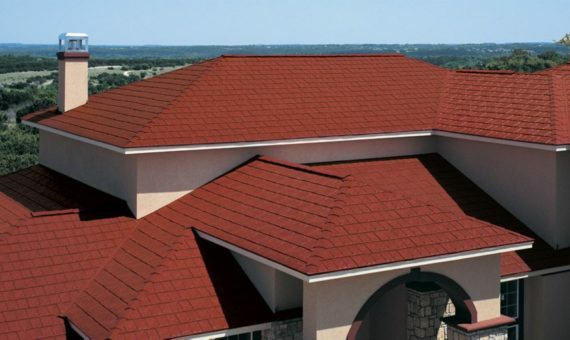 Though we have been around a long time, we always stay up-to-date when it comes to the latest roofing materials and installation techniques, so you get the best of both worlds when you work with Roofing & Remodeling of Dallas. Without question, Richardson is one of the most important cities in the metropolitan area. The University of Texas at Dallas is located within the city limits, and this provides an ongoing youthful vibrancy and a sense of intellectuality. It is also a great place to pursue a career path after you graduate because many major corporations have presences in the city. These would include Verizon, Cisco Systems, Raytheon, Geico, State Farm Insurance, and AT&T just to name a few. If you are in Buckingham, the Northstar Road/East Renner Road neighborhood, the Walnut Street/Richland Park Drive section, or any other part of Richardson, Texas a roof replacement and repair resource will always be ready to assist you. Roof Repair or Time for a Roof Replacement? Our roofers in the field are authentic roof repair experts, and they do not try to sell you a new roofing system if your existing roof can be easily fixed. However, in many instances, a roof replacement is going to be necessary. It can seem like a Richardson, Texas roof replacement project will be very expensive, but in reality, our prices are surprisingly affordable. Plus, you have to consider the value equation whenever you put out money on a home improvement. First, the resale price of your house will go up when there is a new roof in place. Secondly, your insurance premiums can go down, and lastly, a state-of-the-art, energy-efficient roofing system will reflect sunlight effectively and reduce heat transference into your home. This will keep your air conditioning costs down during the sizzling summer months. Roof replacement is just one of the many home remodeling service we can offer. Our roofing company goes above and beyond to tackle a variety of home improvement services that could turn into an even greater investment and return. Now is the time for action if you need a roof leak repair or a roof replacement in Richardson, Texas. Our knowledgeable team members are standing by to answer all of your questions, and you can call us at 972-231-7663 or reach out to us electronically through the contact page on this website.